Mesh fabric is used to make bags, bedding, blankets, garments, upholestry, dress, toys, curtains, car, sofas, Home Textile, shoes and sportswear. 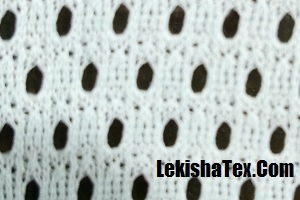 Lekisha Textiles is reputed net fabric manufacturer and supplier. We provide mesh fabric in polyester in all widths. Buy online best quality mesh net fabric at best price.